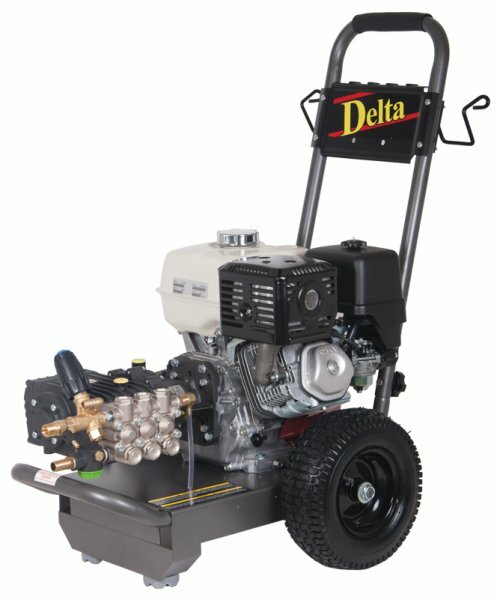 The Delta RTT 15200 is a regular sized petrol pressure washer on a moveable trolley, with a high pressure water pump. “Low pressure” Contact us for service. “Engine over-revving” Fault diagnosis required. “Not sucking water” Machine inspection required. If you’re in Chippenham and need a service or repair on your Delta RTT 15200 call, email or drop-in to our Bristol service and repair centre.